Leadership development program & team training, Wichita, KS. Your leadership team development program may begin at any time throughout the year. In fact, you can design your program to allow leaders to join at any point and engage in only a portion or the leadership development program in its entirety. 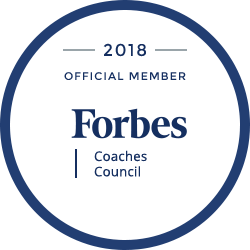 If you are seeking an executive coaching or leadership coaching company that can be objective, provide company reports, quality control oversight, certified coaches and expert leadership training — we are here to serve you. TurnKey Coaching Solutions has affordable, professional, executive coaching programs, emerging leader programs and leadership team development programs - for all levels. Leadership development is critical in today's business world but crafting a leadership development program that will be an ideal match to your culture, objectives, and long term goals requires a skilled and experienced provider. Turnkey Coaching Solutions has served the corporate coaching and leadership training industry since 2004. We know why 70-80% of companies use executive coaching at least to some extent and we know how to maximize your investment. As a leader in the field of professional coaching, we are proud to serve the Wichita community. » Make the most of high-potential employees with our emerging leader programs in the Wichita area.